So, although unable to quote a personal memory I will, nevertheless, bemoan the passing of a British jazzman who certainly deserved recognition beyond his peers. 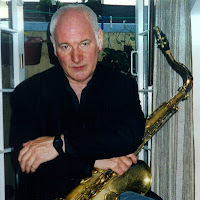 Read the warm obituary on LondonJazzNews. Stan Robinson died 5 days short of his 81st birthday. May he rest in peace. A really good musician and nice guy. I had a lesson with him....late '60's. I didn't know him, or anything about him at that time. Don Rendell had told me to call him. The lesson lasted about two hours and when I asked how much I owed him, he replied "would a pound be alright?" I didn't see him for about five years after that until he was playing at the Torrington Jazz club in Finchley, North London. He saw me and he said (like I'd just seen him yesterday) "Hello John, how's it going?" You're going to be missed, Stan.